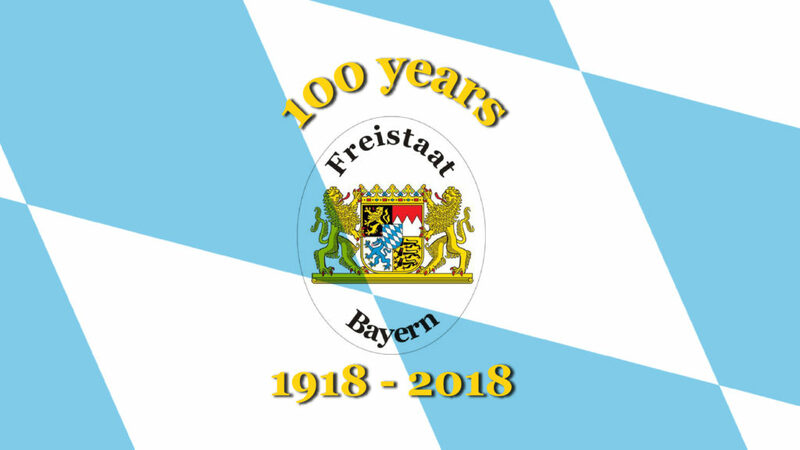 GRAFENWOEHR, Germany — In 1918, the November Revolution led to the overturn of the monarchy and the proclamation of the Free State of Bavaria, and now Bavaria is celebrating 100 years free. Prior to the revolution, World War I had profoundly changed peoples’ lives. A shortage of supplies, the hardships of a controlled economy and the complete military surrender had hit the population, and discontent with the monarchy spread among the citizens. While this led to revolutionary uprisings and the end of monarchy in all of Germany, the first throne to fall was the one of Bavarian King Ludwig III. 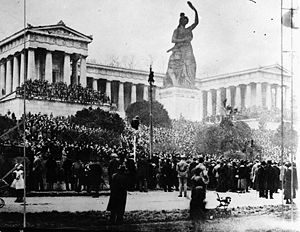 The Bavarian revolution began November 7, 1918, with a demonstration for peace organized by the labor parties and the workers’ unions on the Theresienwiese in Munich. The year before, the social democratic party had split into the majority SPD and the socialistic Unabhängige SPD. The leader of the latter was journalist Kurt Eisner. While the bulk of the more than 40,000 participants of the demonstration walked through the streets of Munich, some who belonged to the USPD party went to the military barracks in the North of the city with the intent to charge them. They met almost no resistance and the majority of soldiers joined them in the revolution. Within a short amount of time, important locations like the main station, the telegraph office and the Bavarian parliament were successfully occupied by insurgents. 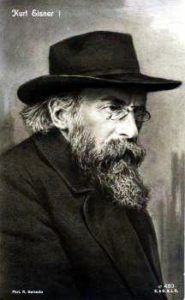 The revolutionaries then built a workers’ and soldiers’ council and elected Kurt Eisner as a provisional Minister-President in Munich while thousands of other such councils constituted themselves across the rest of Bavaria. This revolution happened with barely any resistance or bloodshed. King Ludwig III fled the country and later released the soldiers, officers and civil servants from their oath to him. Free State is a term for a state that is not ruled by a monarch and where the state power emanates from the people. After World War I, many German states used it while others referred to themselves simply as a republic. Eisner also announced that elections for the Bavarian parliament would be held soon, after which the newly elected government would confer about a new constitution. The elections on January 12, 1919, marked the first time that a democratic parliament was elected in Bavaria. With it came important reforms like women’s suffrage and proportional representation. But in the elections, the USPD and Eisner suffered an electoral defeat. When Eisner was on his way to announce his resignation, he was shot by an anti-revolutionary and right-wing officer. While the revolution had put Bavaria on its way to democracy, this was a turning point. Eisner’s death was followed by struggles for power between moderate parliamentary powers, radical workers’ and soldiers’ councils, communistic powers, and nationalist and right-wing groups. Political violence escalated and soon after the November Revolution, monarchic and nationalistic powers determined the political reality again. In the next few decades, Bavaria’s history was shaped by the events that impacted all of Germany: the Weimar Republic, the atrocities of the Nazi period and World War II. After the second war, Bavaria returned to democracy with the help of an America that turned from an occupant into an ally in the post-war years. The November Revolution of 1918 remains one of the most important events in Bavarian history. Despite what happened in its immediate aftermath, it ended the century-long period of royal rule and made Bavaria what it is to this day: a Free State. Leading up to this year’s centennial, many places all over Bavaria host special events under the motto “We celebrate Bavaria.” Festivities include presentations and exhibitions about history, creative competitions on the subject, open house days, concerts and more. For a list of all events, please visit www.wir-feiern.bayern/liste-der-veranstaltungen. On the anniversary, the Bavarian parliament will celebrate with an official state ceremony in the Bavarian national theater in Munich.